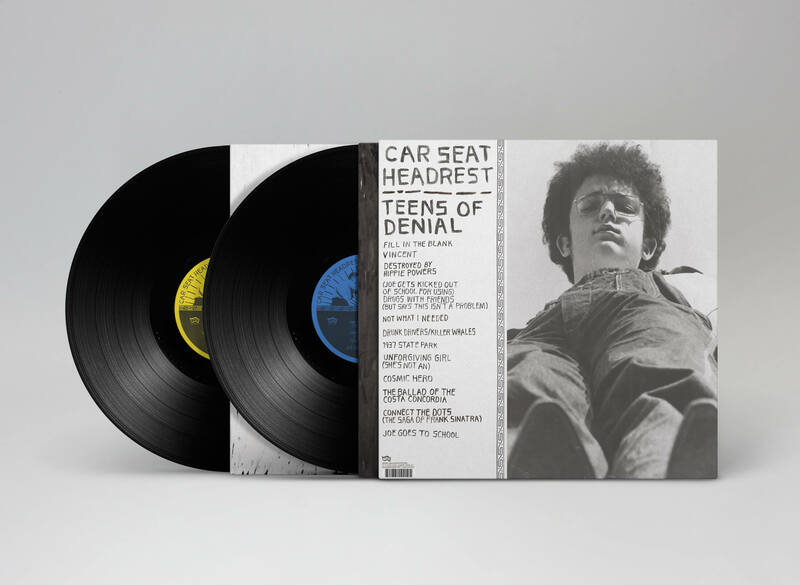 You’ve all heard the tragic tale of how the LP/CD release of Car Seat Headrest’s eagerly awaited ‘Teens Of Denial’ has been delayed for reasons we’re kinda tired of repeating. Now, we’re happy to announce that the light at the end of the tunnel is not an oncoming train, but rather, a large truck carrying 2XLP and digipak CD copies of ‘Teens Of Denial’ that will only be destroyed if you opt to do it yourself with your bare hands. And we’re very confident you won’t want to do any such thing. FRIDAY JULY 8 is the day said light/truck/boxes will emerge from the darkness.